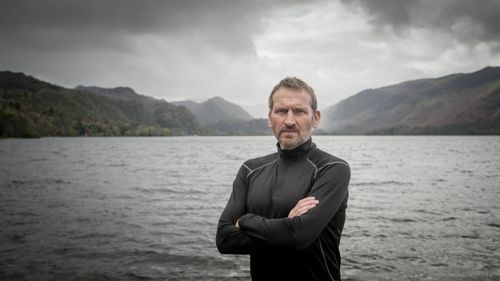 “I had to wild swim in Coniston Water once or twice. 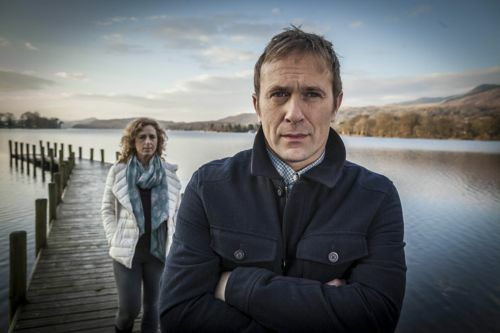 Christopher Eccleston talking to me about his role as former police detective Robert in new ITV drama Safe House, filmed in the Lake District. The four part thriller was created and written by Michael Crompton, who wrote the screenplay for acclaimed Code of a Killer. 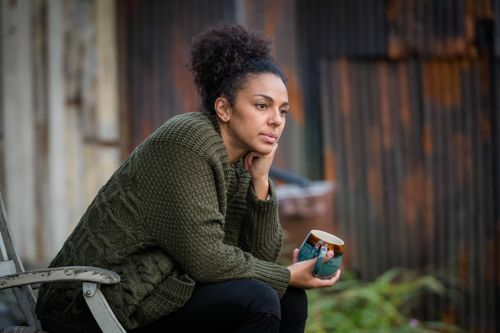 It begins on ITV at 9pm tomorrow – Monday April 20 – and also stars Marsha Thomason as Robert’s teacher wife Katy. 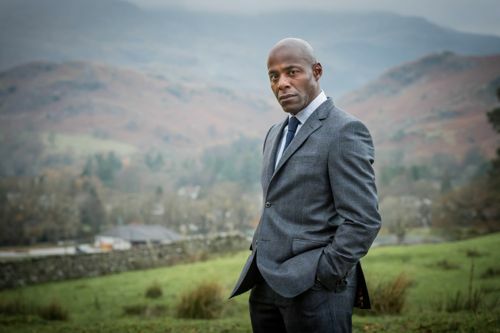 With Paterson Joseph as DCI Mark Maxwell, Jason Merrells as David Blackwell and Nicola Stephenson as Ali Blackwell. It was a pleasure to interview all five leading cast members for ITV’s press pack / production notes. 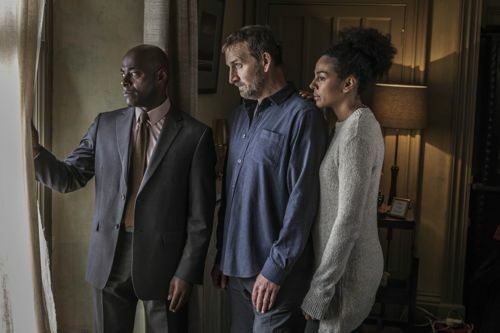 Safe House is an acting homecoming for Manchester-raised Marsha, a star of American film and TV, who now lives in Los Angeles. She was just starting out when I used to regularly interview her for UK dramas like Playing The Field and Burn It. 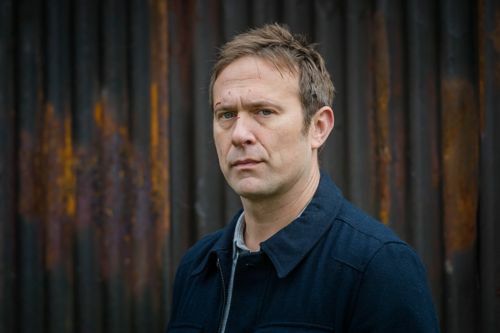 Director Marc Evans has done his usual terrific job in this haunting Lakeland story. 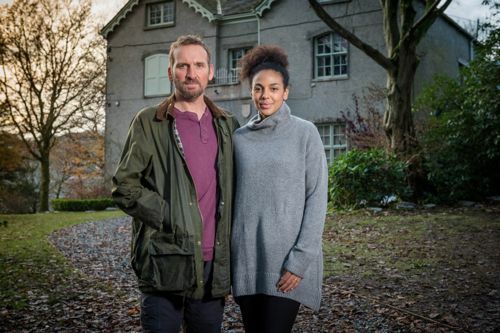 Which sees Robert and Katy turn their remote guest house into a safe house. Where they are soon looking after a family whose ordinary lives are shattered on a night out in Blackpool. 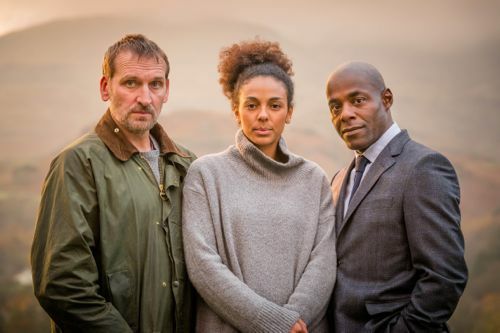 Posted in News and tagged Christopher Eccleston, Coniston Water, Cumbria, Derwent Water, Drama, Eleventh Hour Films, ITV, Jason Merrells, Jill Green, Lake District, Marc Evans, Marsha Thomason, Michael Crompton, Nicola Stephenson, Paterson Joseph, Safe House. Bookmark the permalink.